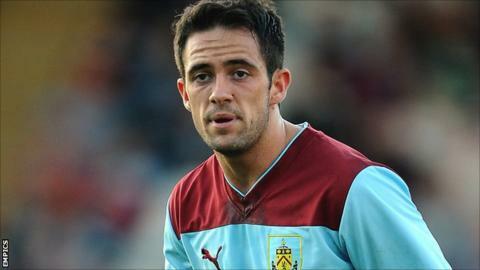 Danny Ings could be back in action well ahead of schedule after undergoing a successful knee operation. The Burnley striker, 20, had expected to be out for six months after tearing his knee ligaments in a pre-season friendly at Rochdale on 7 August. But the prognosis is much better following surgery and he could now return before Christmas. "It's the best outcome we could've had. The tear was not as bad as we feared," boss Eddie Howe told the club website. "The procedure wasn't that intrusive, which reduces the time-scale. "Now we can look forward to getting him back quicker than we hoped, which is the best news we could have had." Ings missed the majority of last season with a serious injury to his other knee, but returned for the final three months of the season and scored three times in 15 appearances.